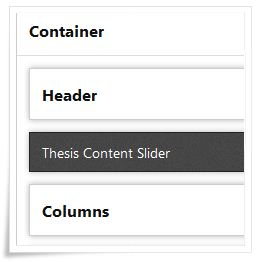 Recently I add more free Thesis 2.0 Boxes for Thesis Theme 2.0 users, so I created another one box for Thesis Theme 2.0, that one is Content Slider Box. Our Slider showing category wise posts. 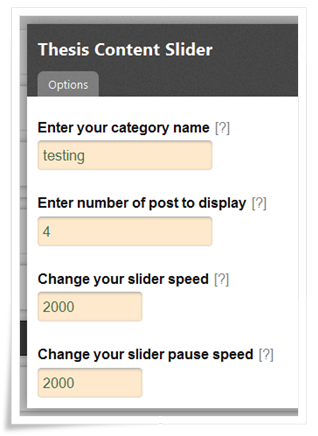 In this box admin section, you have option to enter category name, number of posts and slider speed. Let’s see How to use Content Slider box in your site. Then click on that check box and select save boxes button. That’s all now you successfully installed our content slider box. Then click on that box and configure that box as per below image. I just added this box to a test site (dev.livingwellspendingless.com) and it does not seem to want to work correctly. Is there any insight you could offer me in order to get it to function ? Thanks in advance! 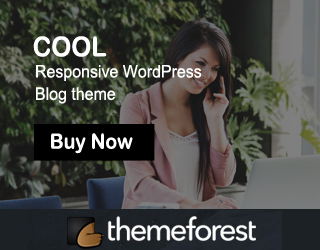 I simply cannot thank you enough for creating this slider plugin, I was using elegant themes ‘Polished’ theme. It had a great look but with 64 objects to call up it took 5.2 secs to load. Switched to Thesis on the recommendation of others, but then the bounce rate soared! ‘Polished’ had a great slider, which bred interaction and lowered the bounce rate. I’ve now put your slider to great effect which should hopefully see the bounce rate go down again. Just what I was looking for and better then before!